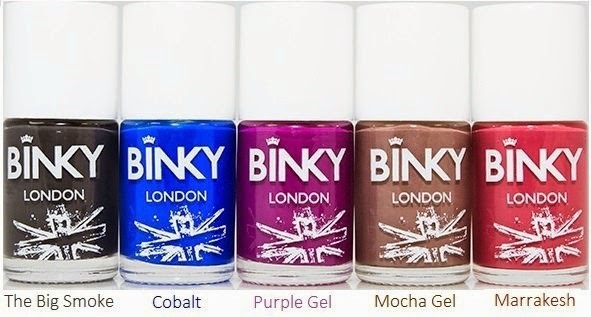 There are so many nice colours available on the High Street at the moment that I couldn't resist, when the lovely PR ladies over at Binky London reached out to me last week and asked me if I fancy to check out their new AW 14/15 collection. 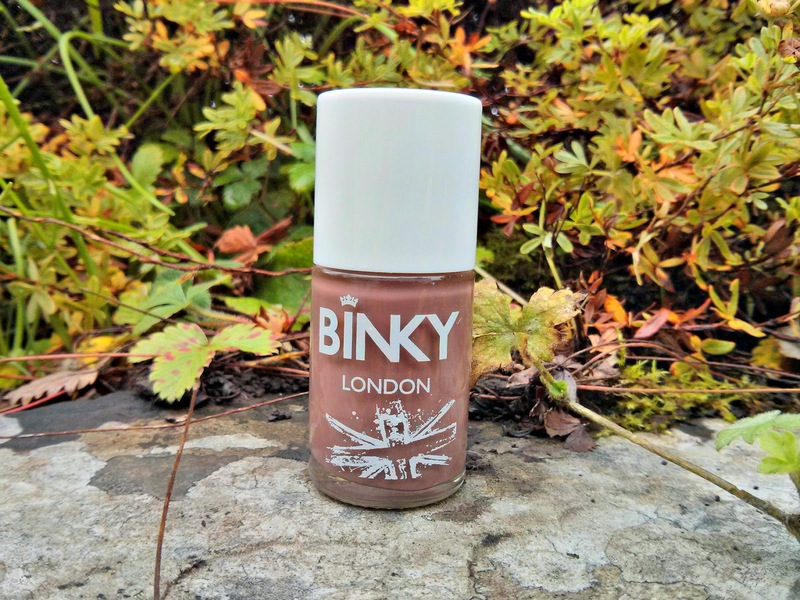 Having used and reviewed Binky’s sparkly Gold Rush* in three top colours for summer post, and being very pleased with it, I had high expectations for this one. Luckily, I wasn't disappointed. I was very delighted when I received a bottle of Mocha Gel* from the brands' new collection which is officially out tomorrow. The collection features dark colours and I particularly like the cobalt blue and the Mocha one, which I’m going to review. The colour in the bottle looks different to when you actually apply it to your nails. It looks very nice on the nails and I would describe the tone as a milk chocolate one. The polish has a creamy texture. It is easy to apply and the brush runs smoothly over the nail. One to two coats are enough to cover it evenly and it takes less than 10 minutes for the polish to dry. 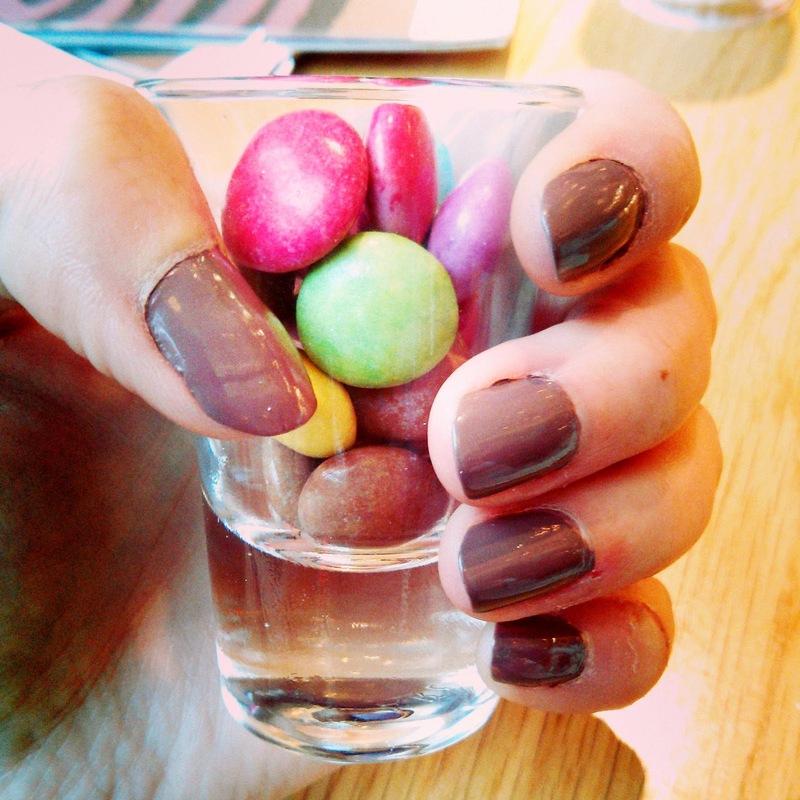 It has a super glossy finish and my nails remind me of shiny Smarties. The Mocha Gel nail polish looks very sophisticated and mature. I applied it a few days ago and it hasn’t chipped at all which is a big plus as I had a disappointing experience lately, when I tried and tested Nails Inc varnish which chipped after just one day. You can grab the entire Binky London AW 14/15 collection at your local superstore for £2.95 per bottle from tomorrow, Wednesday 5th November. Thanks for reading! Till next time and let me know which colour is your favourite.